AMAZON ACCOUNT OR ASIN LISTING SUSPENDED? LET US HELP! Amazon Account or Listing Suspended? Appeal your Amazon account or listing suspension with a 100% customized appeal letter & plan of action tailored for your unique suspension situation! Hire us year-round to handle all of your Amazon account issues that put you at a higher risk of suspension! We are the industry leading Amazon appeal service when it comes to serving and protecting our clients. Our team is always available for any of your questions and concerns. On top of the A+ Appeal Letter & Plan of Action we provide for you, we will also stick by your side through the whole process. This means that we will respond to any of Amazon's concerns about this Appeal until we either get you reinstated or we have exhausted all of our options. We are not one of those services that give you their Appeal Letter and leave the rest up to you. We truly care about your success. With over 340 Amazon accounts and ASIN listings reinstated in 2018 at a 100% success rate, there is no better service than ours. Our unique First Step Contact Form at the beginning of your reinstatement process helps us better understand your situation and determine the probability of success. Our proven system is the best in the industry. Contact us today to find out how you can be our next client to reclaim their selling privileges on Amazon! Our team knows how important it is to reclaim your Amazon account or listing as soon as possible. That is why we deliver you your 100% customized and unique appeal letter in as little as 24 hours! The faster you send out these documents to Amazon, the faster you are going to be able to reclaim your valuable e-commerce assets! We are not another one of those services that use a template and just fill in the blanks. It has been proven time and again that Amazon will not accept these types of documents. 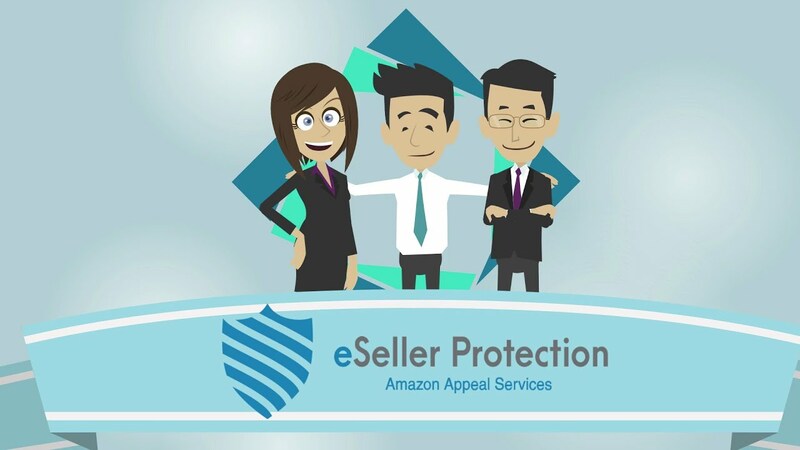 Here at eSeller Protection we create our customers a bespoke, customized and unique appeal letter that will address all of Amazon’s concerns. Fill out our 1st Step Contact Form, chat with us online, email us, or call/text us and your reinstatement process will be underway! Please contact us before purchasing one of our products so we can determine if we can successfully reinstate you. Receive a FREE consultation from our team to find out if we can serve you. We will go over how we will tackle your situation, and the probability of your successful reinstatement. Sometimes there simply is no possible way of being reinstated, and we will inform you if this is the case. If we have determined that we can help you and you are comfortable with your chances, simply pick a package on our “packages” page and pay the fee. We have packages starting at as low as $149! Receive your Bespoke Amazon Appeal Letter and Plan of Action directly to your email in as little as 24 hours! This Appeal Letter & Plan of Action will be 100% tailored to your unique situation. Send your personalized documents to the Amazon Seller Performance Team and wait for the famous, “Your Amazon Account/ASIN has been reinstated”. 6. Start Selling on Amazon Again! In as little as 6 hours you can start selling on Amazon again! (Although the average time it takes to get reinstated is about 4 days). What Makes eSeller Protection Special? Our team has over 7 years of experience working with Amazon Sellers. We specialize in Suspension Prevention and getting accounts reinstated. You will not find a more qualified staff anywhere else! No matter what Amazon has suspended you for, we can help! From policy violations to performance violations we know how to masterfully write for your unique situation. There is not one suspension type that we haven’t successfully reinstated. These suspension types include but are not limited to: Inauthentic Items, Counterfeit Item, Intellectual Property, ASIN Misuse, Product Not As Described, Order Defect Rate >1%, Prohibited Item, New Sold As Used, Late Shipment Rate, Review Manipulation, Used Item Sold as New, Condition Misclassification, & All Other Suspensions. We know exactly how the appeal and reinstatement process works at Amazon. We write our appeal letters and plan of actions exactly how they are supposed to be written and address all of Amazon’s concerns. We know how tight money can be when Amazon freezes your earnings. That's why our packages start at just $199. These are some of the lowest prices on the market! Why choose any other service if we can offer you an affordable price for a quality service? Please don’t hesitate to call/text us at: 1(800) 595-2967. MAGIC!!! A few hours I submitted my appeal my account was back in business. I still can’t believe it worked!! My second order, great job! For my first order, listing was reinstated in 18 hours after appeal submission. Waiting results for this order. Great plan of action. Very professional seller. Got my account reinstated after several attempts with other people's services. Highly recommended! Outstanding performance. I was crying (happy tears) while reading my appeal letter. Unbelievable job! Fill out this form and we will respond to you usually within 1 hour, depending on local time. Supporting Attachments/Screenshots of Account Metrics, A-Z Claims, etc. Thank you for checking out my profile! I am an American specializing in legal writing, research and drafting. I have a Bachelors Degree in Administration as well as 7 years of experience in the areas of eCommerce in business law.My team and I have represented and protected huge businesses from large corporations like Amazon, Ebay, Etsy, etc.We help people navigate the legislative world and regain their business through appeals and other legal writing.I would love to add you to my long list of success stories with my clients. Contact me today for your legal document needs!